For those that like their footwear a little exotic, this bad boy of a shoe should be right up your street. A size? 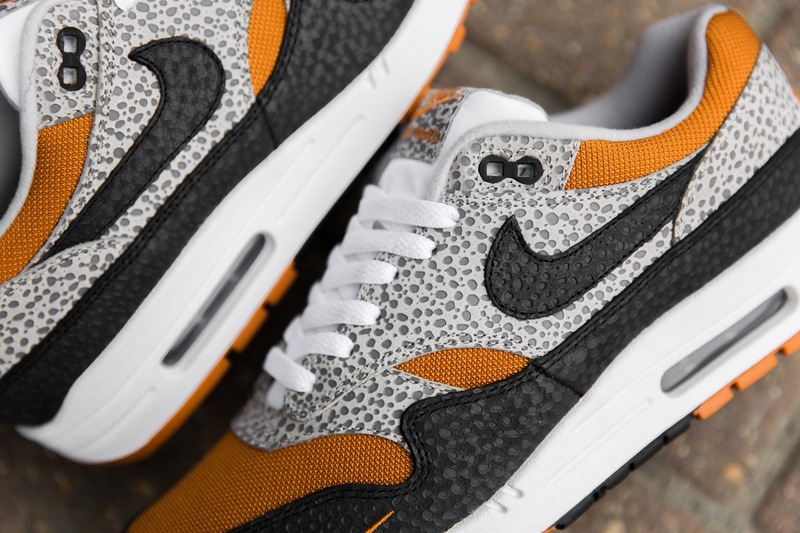 Exclusive, the Nike Air Max 1 'Safari' is part two of the ‘Safari’ pack, with part one being a Nike Air Max 95 'Safari', which was released last week. However, we’re here to talk about the Air Max 1, which in our opinion is the better rendition from the pack. Before we continue, it’s important to understand the origins of the ‘Safari’ motif. 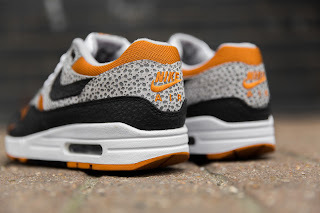 The actual origins of the ‘Safari’ motif was born in 1987 under the guise of Nike Air Safari shoe by legendary Nike shoe designer Tinker Hatfield. A distinctive shoe that guaranteed head-turning reactions, the shoe fused Nike’s performance technology of its day with a fashion-conscious, non-athletic approach to casualwear. A bold shoe, that’s considered an icon. One final point to make. 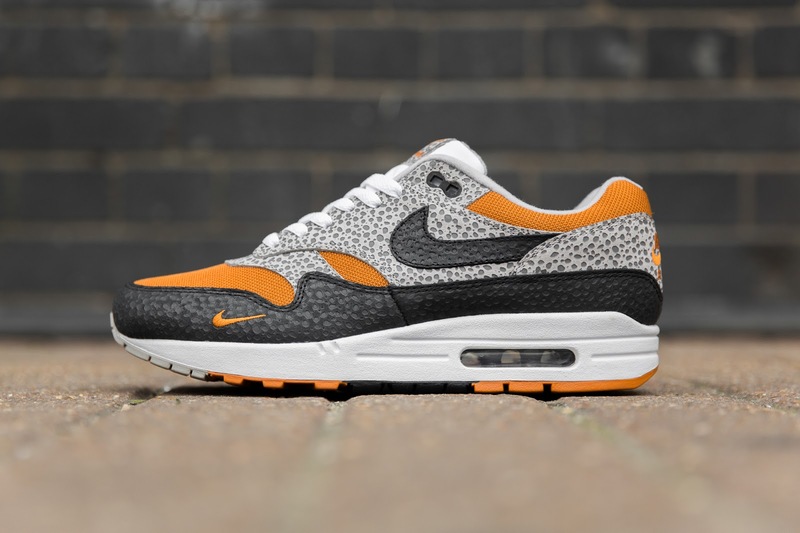 This shoe is not to be mistaken for the 2003 Nike Air Max 1 ‘Safari’ by Japanese sneaker store atmos or the cosmetically ‘enhanced’ rendition from 2016. The common features between aforementioned and this effort by size? is the orange toe-box and the ‘b’ swoosh (aka miniswoosh – but that’s not the correct name), which sits on the mudguard. That's pretty much where the resemblance ends. 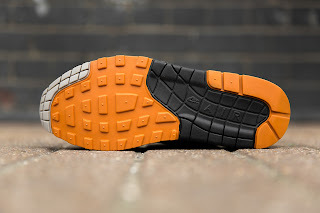 The shoe’s attribute consists of the black panelling that wraps the shoes right the way round from the heel of the shoe to the toe-box, returning to the heel. This is supported with a black swoosh with contrasting greys on the mid-panel. 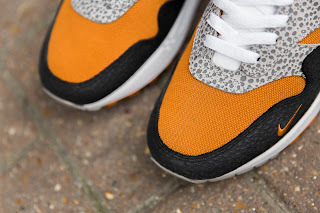 The varying sized embossed speckled pattern that’s features throughout the shoes is a representation ostrich skin, designed to give the shoes a ‘premium’ look. 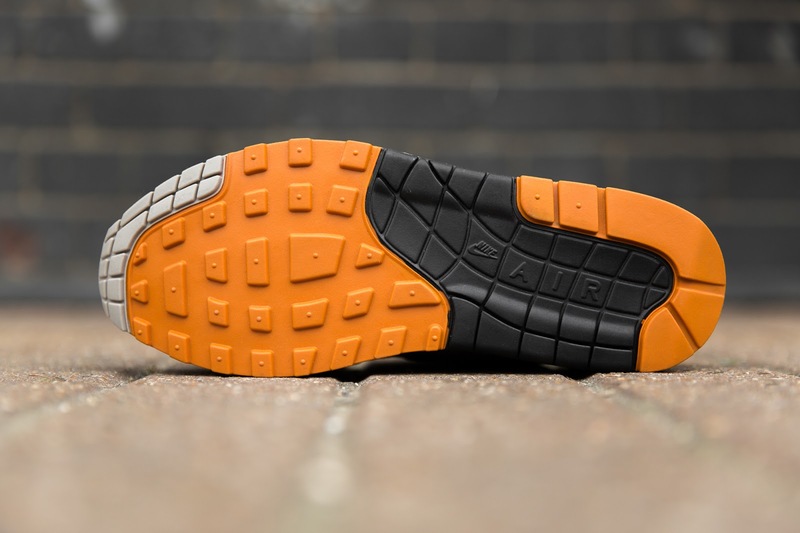 The shoe is finished with white laces and a vibrant orange ‘Nike Air’ branding stitched onto the heel. The size? Exclusive Nike Air Max 1 'Safari' is available only at size? both online and in-store from 15th June. size? have been known to churn out some absolute bangers in recent years (a personal nod to the purple and teal Nike Air Max 93 from a few years back). Love them or hate them, these are sure to restore Size? back to their glory days.